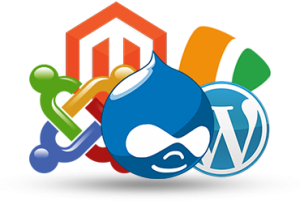 Content Management Systems (CMS) are powerful web applications that store your content and allows users with no prior HTML knowledge the ability to make updates on their website. So why should you be using one? As mentioned above, CMS allow users the ability to log into the back end of their website to perform updates without the need of a web developer. If your website was coded in strictly HTML, you would need to get in touch with your web developer and ask them to make changes for you. Having a CMS cuts out the need for this and enables you to quickly make changes without the delay of waiting for someone else to get around to it, saving time and money. A CMS will come with what is known as a “What You See is What You Get” editor. If you are familiar with how to use any word processing software such as Microsoft Word, you are good to go. You can edit anything in the editor using the provided tools and feel confident that what you see will be how it displays on your website. CMS stores the site design separately from the content. What this means is if it comes time you want to change how your site looks, you can alter the design of your site while keeping all the content in place. Regardless of which CMS your website uses, the publisher will provide frequent updates for the CMS allowing you to access all new functionality. Most of the time there will even be help tutorials on how to use these new features. In addition to this, they will also provide updates to make sure your site stays up to date with security patches. A huge benefit of using a CMS is access to the community of developers. They design many plugins to implement an online marketing strategy. There are tools available to help with search engine optimization, email marketing, blogging, user registration forms, e-commerce, and collecting donations. Jersey Shore Computing focuses on building sites around CMS platforms so you can manage your own content and save money in the process. Please contact us if you would like to learn more. Professional web designer and owner of Jersey Shore Computing.